Jamil is a specialist Periodontist with an interest in implant surgery & tissue grafting. After completing his specialty training, he was awarded a scholarship from the International Team of Implantology in 2007 to attend the University of Florida (U.S) as a clinical fellow. There he completed a clinical fellowship in oral and maxillofacial surgery with an emphasis on implant surgery. He also was a co-investigator in a randomized clinical trial investigating the use of a new dental implant design. He remains an international member of the American Academy of Periodontology. Since returning to Brisbane, he has maintained a full time private practice at BCPI with an emphasis on tissue grafting and implant surgery. At present, he is completing his PhD at Griffith University School of Dentistry and Oral Health, examining the use of bone substitutes in maxillary sinus augmentation. He was awarded an NHMRC scholarship for this work and the research has yielded a number of publications in peer reviewed journals. Previous research on the link between immunology and alveolar bone loss earned him a research prize from the International Association for Dental Research and his publication received the Australian Periodontal Research Foundation prize. He has also been actively involved in teaching and training at both an undergraduate and postgraduate level. He is currently an adjunct senior lecturer at Griffith University School of Dentistry and previously held the position of senior lecturer in Periodontology and implant dentistry at the University of Queensland. He has lectured extensively on the topics of implant surgery and tissue grafting. 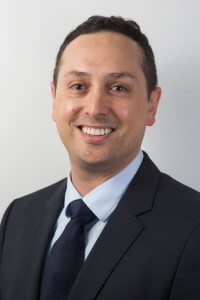 Jamil has received fellowships from the Royal Australasian College of Dental Surgeons in Periodontology, the International Team of Implantology and the International College of Dentistry. He has served as the president of the Australian Society of Periodontology (Qld) and as the treasurer of for the federal branch of the Australian Osseointegration Society. He is also a member of the Australian & New Zealand Academy of Periodontology.